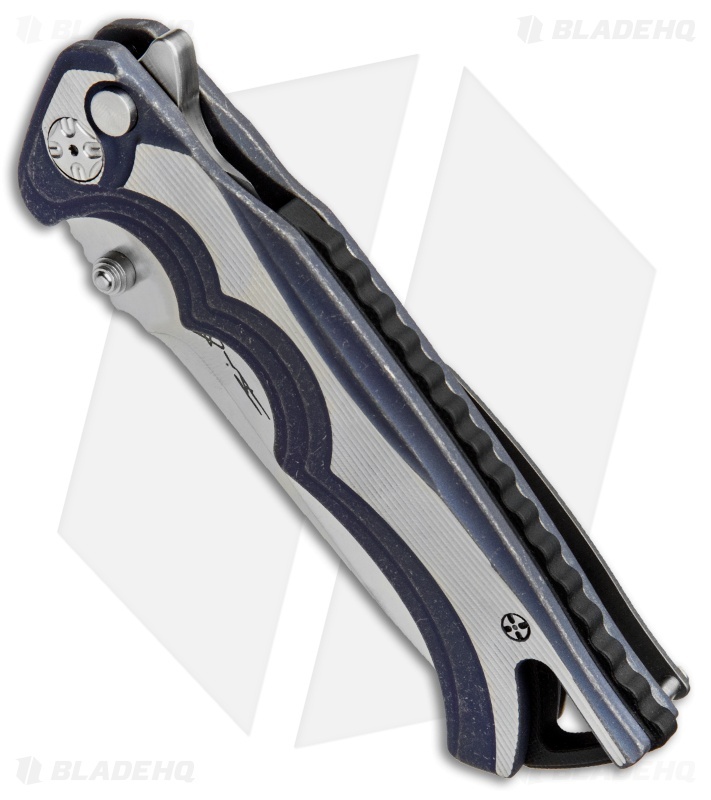 The Tighe Fighter folding knife offers another brilliant custom design from Brian Tighe. 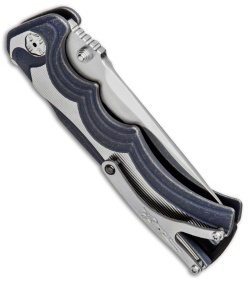 This impressive model features a titanium handle with a tumbled blue anodized finish and a black G-10 backspacer. 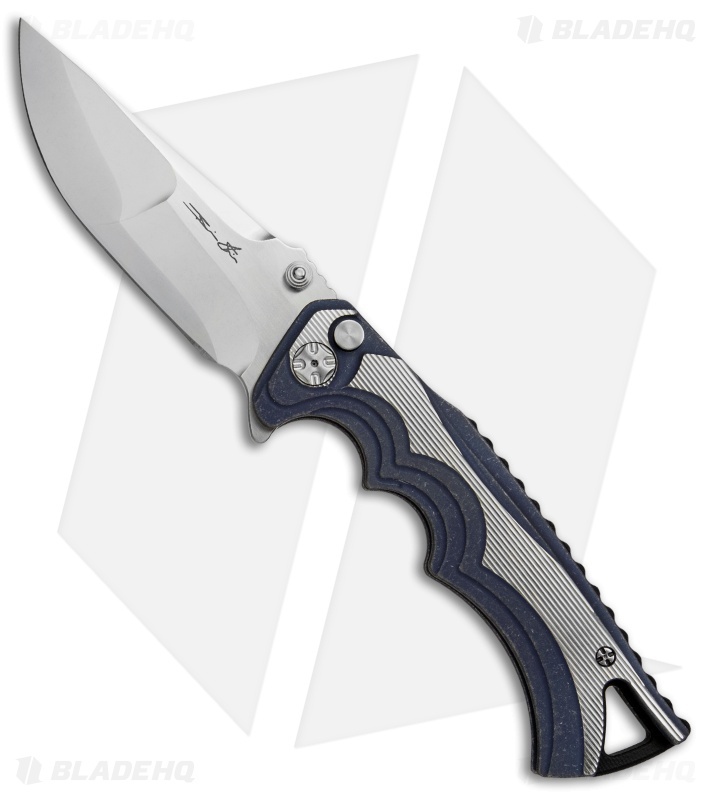 The compound grind blade is CPM-154 with a CPM-S90V core and comes in a polished finish with ambidextrous thumb studs and a flipper opener. A titanium pocket clip with a ceramic ball end-piece add a nice finishing touch to the design.